The platform is available to companies in Australia, Canada, France, Germany, Italy, Japan, Singapore, Switzerland, and the U.K., as well as Hong Kong in China. Some early international adopters include Burberry, NH Hotels, Australia's Harvey Norman, Japan's KDDI, the German branch of Vodafone, and the Hong Kong and Singapore branches of Credit Suisse. Similar to Facebook Messenger's business support, Business Chat lets iPhone and iPad owners shop, book appointments, and get other help through the Messages app. The option appears as a Messages icon when searching for companies through Siri, Safari, Spotlight, or Apple Maps. U.S. support is still relatively limited, but does include companies like Apple, American Express, Home Depot, Newegg, T-Mobile, and Wells Fargo. 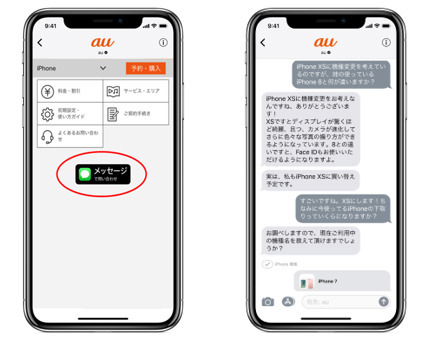 Business Chat first reached the public with the launch of iOS 11.3 in March. Technically conversations can run on a Mac or Apple Watch as well, but they must be started on an iOS device.